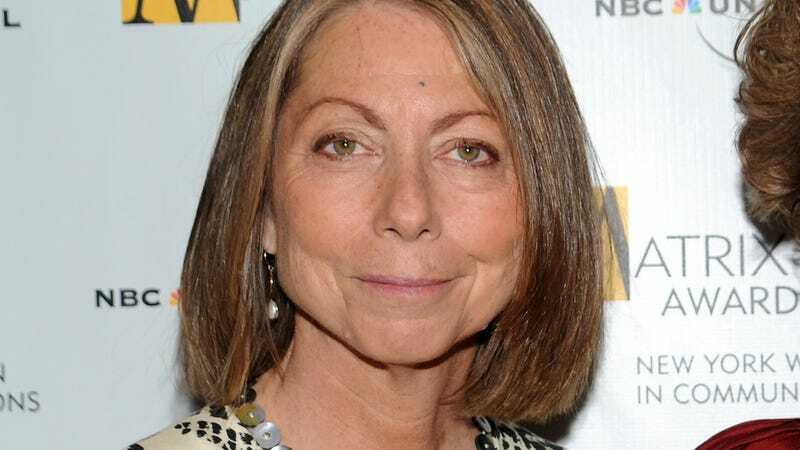 Former New York Times executive editor Jill Abramson’s new book, Merchants of Truth: The Business of News and the Fight for Facts, was a punchline before it even got released, thanks to an abundance of inaccuracies found in galley copies circulating the media world. But now that it’s out, it seems the inaccuracies were only the tip of the iceberg. Abramson was on Fox News’ The Story when Moynihan’s tweets were posted. Asked by host Martha MacCallum to explain the uncanny resemblance between passages, Abramson purred that she “certainly didn’t plagiarize in her book,” and pointed to the 70 pages of footnotes showing where she got her information. But footnotes don’t explain away near-identical copy, and Abramson didn’t have much to say when confronted by the side-by-side examples. “Do you think this is a footnote issue?” MacCallum asked. “No, I don’t think it’s an issue at all,” she smirked. Moynihan wasn’t the only person to point out problems with Abramson’s work. Journalist Ian Frisch also wrote on Twitter that Abramson lifted his reporting, without attribution, on six occasions throughout the book. Abramson was fired from the Times in 2014 on the basis of “arbitrary decision-making, a failure to consult and bring colleagues with her, inadequate communication and the public mistreatment of colleagues,” publisher Arthur Sulzberger said at the time.